The year just began and we are in the fourth month of 2017, therefore, it’s time to sport a new you. If you’re one of the millions of people who promised to lose weight this year, then you should start by eating the good foods for weight loss. These are often called superfoods since they are packed not just with vitamins, minerals, and antioxidants, but they also have the ability to fight and burn fats. Apple. We often hear “an apple a day keeps the doctor away.” But an apple a day can make you slimmer too! Studies show that eating apples prevents metabolic syndrome. It is a condition when you have too much belly fat to the point that it resembles the shape of an apple. Eggs. They have been reputed to be loaded with cholesterol, but it’s just a myth. Studies show that having scrambled eggs in the morning helps regulate your blood sugar and curb your appetite throughout the day. High fiber cereal. Eating good foods for weight loss such as having a high-fiber cereal for breakfast will significantly help you in your weight loss goals. A bowl of good cereal will not only keep your metabolism healthy but also help you eat less throughout the day. Avocados. True, these fruits are rich in fat, but they’re good fats. 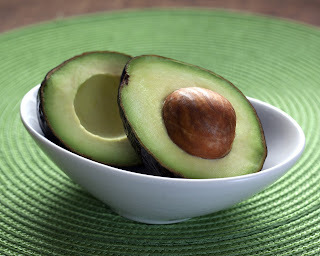 An avocado contains fats that are healthy for the heart and also induces satiety. Green tea. Good foods for weight loss doesn’t just mean solid foods; inclusion of healthy beverages in your diet will also help you lose weight fast. Green tea is rich in antioxidants and substances called catechins which enable the body to burn fat faster. Salmon. Like avocados, salmons also contain fats that are good for the heart. For weight loss, these fishes also are also rich in omega 3 fatty acids which increase the body’s sensitivity to insulin. Beans. These legumes do not only lower cholesterol but they also keep your blood sugar at a normal level. Beans are also good in suppressing the appetite, so you are less likely to indulge in a hearty meal afterward. Lean beef. Having a good serving of lean beef is a good way to control your hunger pangs. The amino acid leucine found in lean beef helps build more muscles and lose more fat. Oats. Minimally processed oats are a good source of fiber. These are called “slow-release” carbohydrates and are ideally consumed at least three hours before a workout. Since they don’t spike your sugar levels, your body is likely to burn fat rather than store them.